I love to see stylists from my private trainings go from good to great. I was so delighted to work with Nathalie Gaudreault from Canada. Over the 2 days at my Private HDTV studio we collaborated on a new collection. 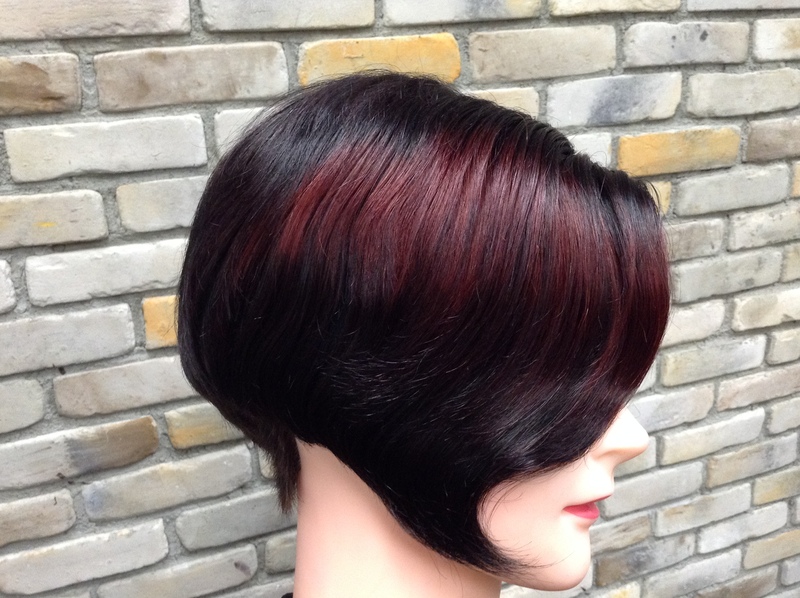 Below is just one of the styles from Nathalie’s new collection. Nathalie brought this to life on models in her recent event, proving that Nathalie is an artist with vision talent and passion for the craft. Bravo Nathalie. Smudged two tone color created to enhance this geometric razor cut. 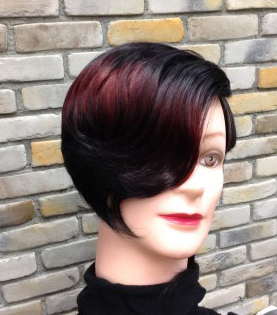 so perfect for this asymmetric cut. Winner of Editorial course announced.